Item # 311015 Stash Points: 6,495 (?) This is the number of points you get in The Zumiez Stash for purchasing this item. Stash points are redeemable for exclusive rewards only available to Zumiez Stash members. To redeem your points check out the rewards catalog on thestash.zumiez.com. 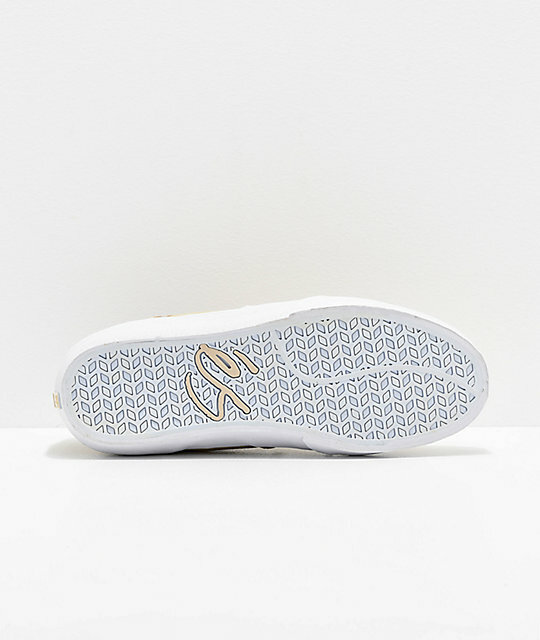 Designed with straightforward lines and performance enhancing equipment, eS presents the next wave of their innovative line of Square footwear with the signature Square Three Skate Shoes. This model comes in a simple tan and white colorway and has been directly influenced by the brand's classic Square One and Two silhouettes. 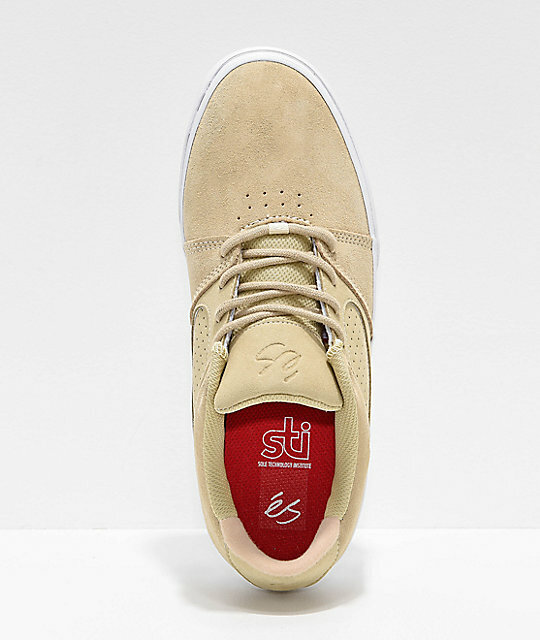 Dressed up in an all suede upper, while the interior was given an STI Energy Foam footbed that provides superior impact support without compromising the shoe's optimal board feel through it's vulcanized construction. 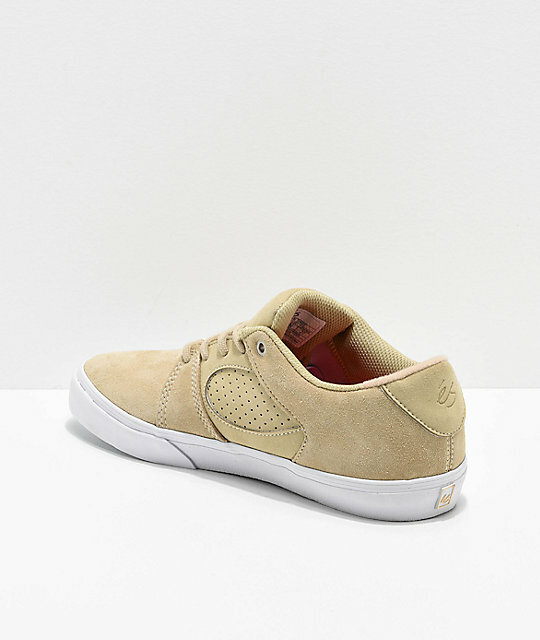 The Square Three is arguably the ultimate "skateboarder's sneaker," purposely trimmed down for raw skate performance. 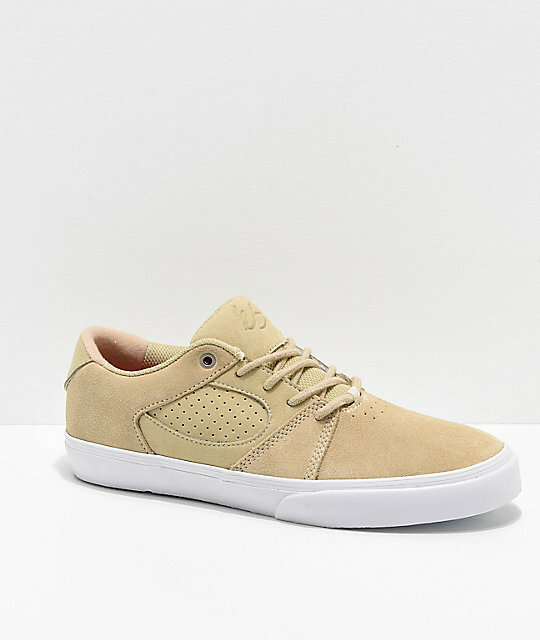 Square Three Bone and White Skate Shoes from eS. Rubber outsole with diamond tread pattern for grip.